Last winter the Los Angeles County Arboretum and Botanic Garden asked what we the public wanted from it. The arboretum held workshops and even hired a professional to run up an online questionnaire. Last month, it published a summary of our responses. This much can be said about us: We’re not picky. We want everything. According to the new strategic plan, we want a prettier entrance, better signs and more fabulous gift shop. We want to save water and to celebrate the existing water-glugging collection of plants, while perhaps “de-accessioning” a few old soldiers. We want to emphasize food plants for kids and to preserve a lovely collection of native oaks up the knoll. We want a first-class library with the right kind of onramp to the information superhighway. Did we mention we want invasive plants contained? We do. We also want spiffo management and a fine-tuning of the relationship between the nonprofit foundation and the county officials who, in an occasionally uneasy partnership, run the place. 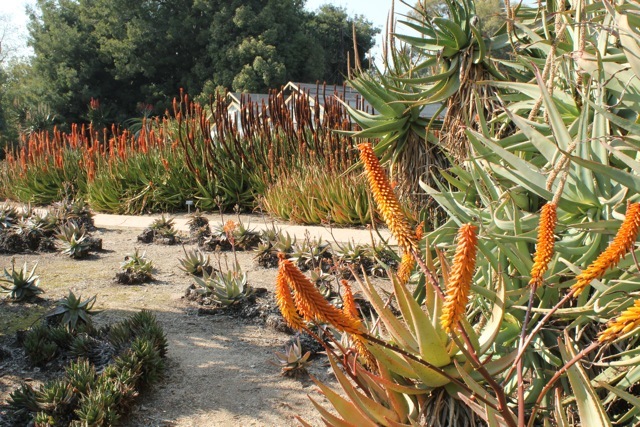 Click here to keep reading about the Arboretum’s new strategic plan in the Los Angeles Times.